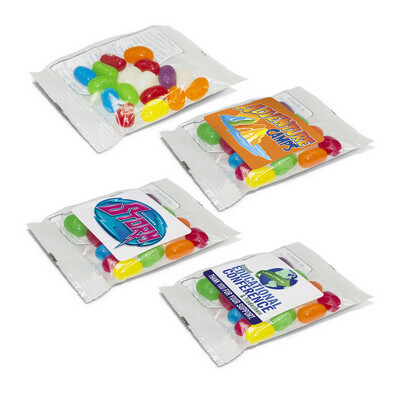 30 gram bag of high quality, delicious New Zealand made jelly beans in assorted colours. Full ingredient and nutritional information is printed on the back of the bag. Colours: Assorted. Dimension: W 80mm x H 105mm x 13mm. Print Description: 65mm x 50mm. Print Type: Digital Label. Packing: Loose packed. 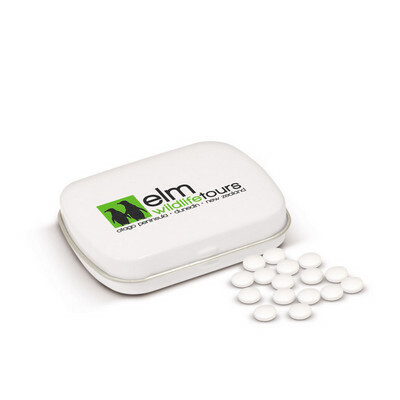 House shaped mint container which is filled with seven grams (approximately 50 pcs) of sugar free mints. Full ingredient and nutritional information is included on the back of the card. Colours: Frosted Clear. Dimension: W 63mm x L 72mm x 6mm. 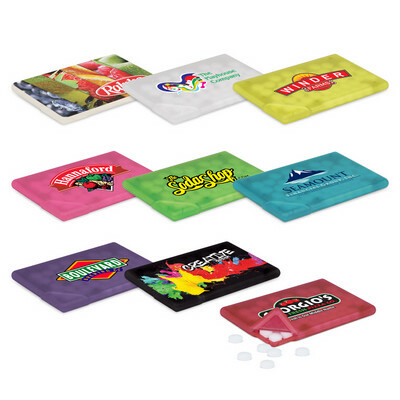 Print Description: 40mm x 40mm. Print Type: Pad Print. Packing: Loose packed. 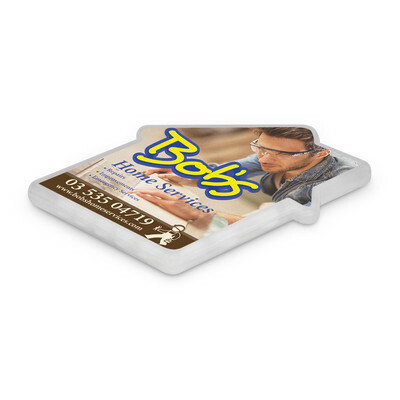 Plastic card which is filled with seven grams (approximately 50pcs) of sugar free mints. Full ingredient and nutritional information is printed on the back of the card. 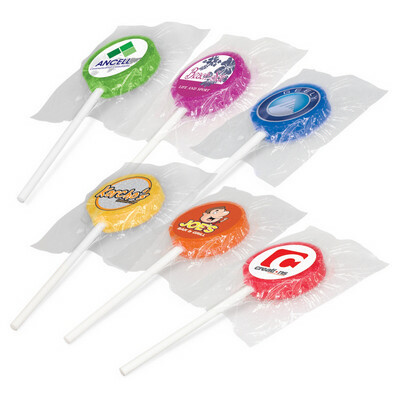 Colours: White, Frosted Clear, Frosted Yellow, Frosted Pink, Frosted Red, Frosted Green, Frosted Blue, Frosted Purple, Black. Dimension: W 78mm x W 48mm x 6mm. Print Description: 55mm x 35mm. Print Type: Pad Print. Packing: Loose packed. Stylish flip top tin filled with 30 grams of peppermints. Full ingredient and nutritional information is printed on the back of the tin. Colours: Matt Silver. Dimension: W 32mm x H 85mm x 21mm. Print Description: 50mm x 18mm. Print Type: Pad Print. Packing: Loose packed. Purple: Passionfruit Flavour Colours: Yellow, Orange, Red, Green, Blue, Purple. Dimension: W 50mm x L 117mm x 9mm. Print Description: 26mm circle (plus bleed if required). Print Type: Digital Label. Packing: Loose packed. 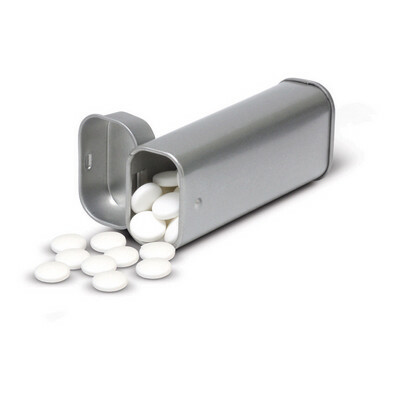 14 grams of drop shaped mints in a convenient flip top plastic container. Full ingredient and nutritional information is printed on the back of the container. Colours: White. Dimension: W 37mm x H 62mm x 15mm. Print Description: 20mm x 40mm. Print Type: Pad Print. Packing: Loose packed. Contoured rectangular tin with a hinged lid filled with 14 grams of peppermints. Full ingredient and nutritional information is printed on the base of the tin. Colours: White. Dimension: W 62mm x L 38mm x 15mm. Print Description: 35mm x 20mm. Print Type: Pad Print. Packing: Loose packed.